We’d love your help. Let us know what’s wrong with this preview of The Silvered by Tanya Huff. To ask other readers questions about The Silvered, please sign up. This review has been hidden because it contains spoilers. To view it, click here. I like this book. And I don’t like it. I enjoyed most of Tanya Huff’s previous works and think her one of the best writers in the fantasy genre. Besides, she is my fellow Canadian. So I had high expectations for this book, but instead, it disappointed me. The plot is simple. A big aggressive empire attacks the small country of Aydori, the country ruled by wolf-shifters and mages. The empire doesn’t have mages but it has science: dirigibles, muskets, explosives, gas light and the like, approximat I like this book. And I don’t like it. I enjoyed most of Tanya Huff’s previous works and think her one of the best writers in the fantasy genre. Besides, she is my fellow Canadian. So I had high expectations for this book, but instead, it disappointed me. The above is just a dry summary. The book itself is deeper and more disturbing than its plotline suggests. Its prose is strong, gripping the readers from the start and not letting go until the end. The world building is solid and original. The author weaves together three interconnected story lines, each with its own leading character. I wouldn’t even call them subplots, because each of the three protagonists embarks on his/her own inner and outer journeys and confronts his/her own demons. The first story is the story of Danika, the leader of the kidnapped women mages. With their magic neutralized by ancient artifacts, the women are practically helpless. The only resistance available to them is passive, but they do all they can to thwart their enemies, including the emperor himself. The author paints him as a rather scary guy, an all-powerful, scientifically-minded fanatic. He believes that shape-shifters and mages are abominations, less than humans, something like rats with the ability to talk. For him, Danika and the other women mages are not people but living material for his brutal scientific experiments, which remind the readers of the Nazis’ medical tinkering. Faced with such horror, Danika demonstrates outstanding leadership abilities and bottomless compassion. She wouldn’t submit, but her defenses are subtle, and her main goal is to keep the hope alive in her fellow mages and not let despair claim them. Her courage, determination, and wit lead the captives to their eventual escape. Straightforward and satisfactory, Danika’s tale is a tale of a heroine and her friends in captivity, fighting for their freedom. Their travails pull at the readers’ heartstrings and keep the tension high until the victorious denouement. The second story is the story of Captain Reiter. He is the most interesting character of the book. Starting out as a loyal imperial officer, capable and smart, always following his orders no matter how distasteful, he goes through the deepest transformation in this novel. He is the one who changes. Revolted by the emperor’s atrocities, the captain can’t accept torture for the sake of science. As a soldier, he killed and watched his mates killed, but he knows a difference between killing in war and murdering innocents in cold blood. Even though in the beginning, he shares the emperor’s conviction that mages and shape-shifters are inferior, after a while, he starts seeing people in them. His conscience wouldn’t condone his emperor’s bloody research, but he can’t oppose his ruler without turning a traitor. His road to betrayal is agonizing and complex but utterly logical. In the end, helping the captive mages to escape becomes the only possible, the only humane choice for him. The third story is the story of Mirian, and here I ran into trouble. Mirian is the most important character in the novel, or she should be, according to the number of pages devoted to her. But I couldn’t understand her motivations. Why did she decide to free the mages herself? She is absolutely unsuitable to the job and she knows it. Unfortunately, the only answer she could give to this question, and people do ask her several times during the course of the novel, is that she was the only one there. I didn’t believe it. And my disbelief colored my perception of the girl and her senseless, unexplainable escapade. At the start of the novel, Mirian is a pampered daughter of a banker. Her mother wants her to make an advantageous marriage to one of the wolf-shifters. But for Mirian, this seems like a dead-end. Oh, she doesn’t mind a wolf-shifter for a husband; they are the elite of their society after all and charming men to boot. But she wants to make something of herself as well. I believe it and sympathize with her sentiments. Then the war starts, the empire attacks, and Mirian dives headlong into her adventure, with no reason at all. None of the kidnapped mages is her kin. She has nothing to discover. No revenge is involved. No one of her friends is involved. Logically, she can and should choose a different path. She doesn’t need to go after the mages. As I don’t understand what drives her, I stop believing her story. Besides, even after she undergoes much suffering and danger and turns herself into a heroine, she still faces a dead-end, although of a different kind. Before, she was a useless society girl. Now, she is a super mage, not entirely human, and responsible for a bunch of damaged wolf-shifters. Her future seems just as hopeless now as it was before. What did she achieve? Well, she didn’t free the mages – they freed themselves – but she did free the rest of the emperor’s experimental menagerie and killed the crazed emperor. Good for her, I suppose, and that should be enough for one novel, but Mirian’s exploits still left a bad taste in my mouth. Why did she do it? Mirian Maylin is young bright and failing at university. Her powers were tested and expectations on her from parents were very high. Father's banking and Mother's social life both sat waiting for her to marry into the Pack. But Marian was failing and didn't have the heart or time to tell her parents. Suddenly the border war was here and the Mage-pack stolen by the Emperor. No-one else alive saw the kidnapping so Marian feels it is her duty to follow and help save the five mages. This was a beaut Mirian Maylin is young bright and failing at university. Her powers were tested and expectations on her from parents were very high. Father's banking and Mother's social life both sat waiting for her to marry into the Pack. But Marian was failing and didn't have the heart or time to tell her parents. Suddenly the border war was here and the Mage-pack stolen by the Emperor. No-one else alive saw the kidnapping so Marian feels it is her duty to follow and help save the five mages. It seems like this is going to be a good series. I have read other Tanya Huff books and like them. This one has a very interesting world where mages and werewolves are on one side of a conflict and technology is on the other. The Emperor who leads the tech side is crazy and has decided that the mages and their werewolf consorts are "abominations" and therefore not human. While practicing magic is bad, the Emperor uses Soothsayers prophecies to guide his decision to capture all the high-level mag It seems like this is going to be a good series. I have read other Tanya Huff books and like them. This one has a very interesting world where mages and werewolves are on one side of a conflict and technology is on the other. The Emperor who leads the tech side is crazy and has decided that the mages and their werewolf consorts are "abominations" and therefore not human. While practicing magic is bad, the Emperor uses Soothsayers prophecies to guide his decision to capture all the high-level mages and then experiment on them. Our heroine, Mirian, is mage who flunked her university courses and has no "mage marks" in here eyes, even though she tested high for mage power. Tomas is the younger brother of the Pack Leader, and the last survivor of the battle to hold their border against the Emperor. They find themselves thrown together when each of them sets off to save the captured mages and they themselves are captured by a very determined army captain, Captain Reiter. Tanya Huff is a well-known author in the speculative fiction community. While she’s best known for her Blood series, which was later adapted for television under the title Blood Ties, her other works span from epic fantasy to space-age military science fiction. The Silvered is her most recent release. Aydori is a small country that used to be separated from a massive empire by two duchies. Problem is, that empire just gobbled up those duchies in record time and is now camped on Aydori’s border. While the empire bases its society on science from the age of the industrial revolution, Aydori is protected by classes of shapeshifters and elemental mages. Under the cover of invasion, the Emperor sends a small, elite team of men to kidnap six mages and bring them to his capital. Except Mirian Maylin, the sixth mage, has no intention of sitting on her hands, and eludes capture with the help of shapeshifter Tomas Hagen. Together, they set out to rescue the other five mages from the clutches of a mad emperor. Tanya Huff has been publishing full length novels since 1988. She knows not only how to world build, but how to build magic systems and do phenomenal characterizations. Her experience shows on every page of The Silvered. Aydori and its neighbors have a steampunk inspired feel, even if technology is the purview of the protagonist’s enemies. Society has a very Victorian feel to its etiquette, both in Aydori and in the empire. Not only are the characters fully fleshed out, but they fully interact with their world on a level that many authors doen’t use. Mirian isn’t let to go wandering across an empire without having narrow escapes, dirty clothes, and blistered feet. She has to steal fresh clothing, find ways to blend into the changing lands around her, and constantly strategize. She’s mired in the realities of her world, and this really makes the story live and breathe. The system of magic Mirian uses seems like it’s not a thoroughly plotted system a la Sanderson once you really get going. But don’t be fooled, the magic is more complicated than most mages know, and there are consequences for breaking the rules in the way Mirian does. I love the fact that here is a magic system where you can break the rules, yet the magic still works and doesn’t just fizzle or go boom. The consequences are more subtle, and perhaps pricier, than that. Do not expect to be able to do anything else while reading this book. The Silvered really got into my head and refused to let go. The back and forth banter between Mirian and Tomas is believable and endearing. The time spent from the point of view of Danika Hagen, one of the captured mages, and Captain Reiter, one of the men sent to capture Mirian, are well spent, informative, and also entertaining. I never wanted to put this book down, and I stayed fully invested in the story from start to finish. Unfortunately, it’s also a standalone book. If Huff ever decides to write a sequel, it will likely land on my most-anticipated list. Why you should read this book? A powerfully emotional story that draws you in and doesn't let you go. It's perfectly balanced with scenes that are heartbreaking, triumphant, brutal, and occasionally humorous. Huff has an exceptional talent for creating remarkable, three-dimensional characters. And her female leads are strong, not because of what they can accomplish physically, but because they symbolize bravery, selflessness, determination, and are as alpha as any leader could ever be. Mirian, the story's protagonist, and Danika, the Mage-pack's Alpha, were both incredibly clever. They were level-headed, quick thinkers who did everything possible to avoid being at a disadvantage. They possessed all of the qualities that made them ideal heroines. The story's plot was complex and layered with multiple points of view that kept me engaged in the story. From the very beginning, we're thrown right into the middle of a war. We learn about the wolf packs, Mage-packs, and one power-hungry emperor's plan to control them all. Mirian, a seemingly low-level mage, finds herself on a journey to rescue five women who were taken under the emperor's command. She is joined by Tomas, the Alpha's brother, who has suffered an unbearable amount of loss during the war and refuses to add the women of the Mage-pack to this increasing number of casualties. One of the most fascinating aspects of this story was the progression of Mirian's talents. She has spent her entire life believing herself capable of only first level abilities, but finds that during intense, highly emotional situations, her mage-craft is elevated. What she becomes capable of is astounding and, in an interesting twist, is also not without consequences. Another pleasant surprise during this story was Captain Reiter, the man tasked with capturing Mirian. It was a pleasure experiencing the story through his point of view and I enjoyed his character's transition. He was given more depth than I had expected and his role in the story was one that I didn't anticipate. He is also responsible for most of the insight we are given into the mad emperor's decisions and motivations. Overall, I would have to say that The Silvered was everything that I enjoy in a fantasy novel. This is now one of my top reads of 2012. Although I've mostly read Huff's earlier works, I've come to trust her for sensical plots and characters. So although I rolled my eyes to hear of yet another werewolf-based premise, I picked this one up anyway. It must have been a while since I've read an intelligent fantasy, because the first few pages were a little tough for me to get through, trying to remember names and relationships and getting confused in the setting. Eventually I adjusted: Aydori is ruled by a werewolf Pack, members of whi Although I've mostly read Huff's earlier works, I've come to trust her for sensical plots and characters. So although I rolled my eyes to hear of yet another werewolf-based premise, I picked this one up anyway. It must have been a while since I've read an intelligent fantasy, because the first few pages were a little tough for me to get through, trying to remember names and relationships and getting confused in the setting. Eventually I adjusted: Aydori is ruled by a werewolf Pack, members of which seek mates among mages. There's a rather Regency-like feel to the way mothers desperately fling their daughters into the path of eligible bachelor Pack members. Mirian's apparently a mage of great potential, but university tests showed that it was spread out among different areas, keeping her from developing meaningful power in any one. Matters of marriage and studies are set aside, though, when the neighboring empire attacks. Losses are horrendous; Tomas sees his fellow Pack-mates ripped to shreds, and alone survives out of his group. A special unit of the imperial forces then captures five mages from the fleeing Aydori. The sixth, Mirian, escapes. And here's where I first stumbled, although I picked myself back up and kept reading: there have to be six mages because of a prophecy that the emperor is following. Convenient. Mirian and Tomas encounter each other, and since he knows the Pack Leader's dead and she knows the Pack Leaader's pregnant mate (one of the mages taken prisoner) has been abducted, they join forces to try to recover the woman. ...because I started tripping more often as the story advanced past here. One big issue was that certain characters were unambiguously stupid or evil. Mirian's mother, for example, states outright that a potential betrothal catch is more important than the impending invasion. And the emperor who captured the mages is a madman who claims he's all about science, yet listens to soothsayers and is the sort who tortures people in the name of experimentation. Even as I found him abhorrent as a character, he annoyed me for being so one-note. The other problem was Mirian herself, sadly. I loved her attitude, but as she began to discover her powers were far greater than anyone at the university could have guessed, I got a sinking feeling. Sure enough, she eventually develops into a veritable superwoman who can blast her way through anything. There is a significant price to her power, but I didn't find it proportional to what she gained. By the end I was almost bored because I knew she wouldn't really encounter any difficulties, and Tomas almost faded into becoming a mere secondary character next to her. Tanja Huff has enjoyed a varied career in science fiction and fantasy literature. She has written very popular urban fantasy novels with her 6 book "Blood" series and also written the science fiction "Valor" military series. She now turns her fine creative instincts to mixing traditional magical fantasy with shapeshifters set in a war torn world dominated by a mad emperor who is using science and military might to take over the world. Aydori is a country in Huff's new world. It is led by members Tanja Huff has enjoyed a varied career in science fiction and fantasy literature. She has written very popular urban fantasy novels with her 6 book "Blood" series and also written the science fiction "Valor" military series. She now turns her fine creative instincts to mixing traditional magical fantasy with shapeshifters set in a war torn world dominated by a mad emperor who is using science and military might to take over the world. Aydori is a country in Huff's new world. It is led by members of the Mage-Pack, powerful female wizards with skills in fire, air, healing among others, and by members of the Hunt Pack, powerful shape shifters who can change into huge wolves. Aydori has managed to stay independent in the face of the aggressive Empire. The Empire, however, has a new plan. There is a prophesy that one of the Mage Pack could destroy the Empire. They plan to capture the 6 mages in the prophesy using ancient magical artifacts. They attack Aydori and at the same time send a secret strike team deep into Aydori to capture the mages. The plan partly works and they are able to capture 5 mages. The strike team splits in half and Captain Reiter and a select squad go after the missing mage. Mirian Maylin, is a young mage, who has been thrown out of the magical university because she seems to know how to do beginning spells in all the major fields of fire, earth, air, healing, water and metals, but is unable to advance in one discipline. Mirian witnesses the capture of the 5 mages and sets off to thwart their transport to the Empire, accompanied only by Tomas, a young shape shifter member of the Hunt Pack. She is captured in turn by Reiter almost immediately, and snared by one of the magical artifacts, but escapes with the help of Tomas and is able to remove the artifact -- is it because she used some resin in her hair -- or because Mirian is more powerful than she seemed. We learn the answer on their quest. Mirian learns to use her magical skills. Meanwhile, Reiter begins to question his orders as the "beastmen" are not the abominations he believes in and the mages are more human than he was led to believe. Mirian must learn to use her growing power and learns during her journey that there used to be many magicians with skills in all the magical disciplines, but the university came along and switched people into one discipline. It seems that there is a price to pay for using all the magical disciplines. Reiter is nearly punished for letting the 6th Mage pass through his fingers, but the imperial soothsayers -- have seen Reiter with the Emperor, so the Emperor lets him live and lets him witness his experiments on the captured mages and the captured members of the Hunt Pack. Reiter is now questioning his allegiance, but is stuck behind lines. Can Mirian and Tomas save them in time. Will Reiter play a part. How powerful is Mirian becoming. Its all there to discover in this exciting fantasy novel. I expect a next novel in this series, and frankly cannot wait. I loved this book so much - it's the kind of tale that leaves you wanting more, not because it feels incomplete or unfinished*, but because there's potential for more stories in this world... and it'll be a shame if this imaginative world only gets one outing. The setting is inspired by the Napoleonic era, and the story starts off by juxtapositioning grim battlefield scenes with glittering high society balls. Tanya Huff seamlessly introduces werewolves and mages of the Pack into this environment, I loved this book so much - it's the kind of tale that leaves you wanting more, not because it feels incomplete or unfinished*, but because there's potential for more stories in this world... and it'll be a shame if this imaginative world only gets one outing. The setting is inspired by the Napoleonic era, and the story starts off by juxtapositioning grim battlefield scenes with glittering high society balls. Tanya Huff seamlessly introduces werewolves and mages of the Pack into this environment, and makes it feel real - the frenetic gaiety and matchmaking parents and very civilised evenings at the opera doesn't hide the not-quite-acknowledged fear that this world is about to be torn apart. And as you expect, it is and quite brutally too - the commencement of war combined with the kidnapping of the most powerful mages of the Pack causes confusion and terror... and that's the setup for a most satisfying fantasy. In retrospect, Mirian and Tomas's decision to go right into the heart of the enemy Empire to rescue the kidnapped mages appears slightly ridiculous - how does an almost-mage and young werewolf expect to go up against an all-powerful emperor? But while they're doing it, it doesn't come across as stupid or naive. It's easy to empathise with Mirian - she's caught up in the romance of the moment, she wants to do the "right" thing and at the pivotal moment, finds the courage to do so and what's more, follows through. Equally, Tomas, who has come through the battle through pure luck, is shellshocked and needs to rescue the remainder of his Pack. It's not all a mad action-packed dash for glory - there are poignant moments a-plenty, and while not overt, there is some romance. I liked how Tanya Huff showed that there was a price to pay for everything, and also the bad guys were portrayed as people and not this faceless enemy. There's redemption too, and it's done in such a way that leaves you feeling optimistic. One of my favourite books that I've read this year, and as I said at the start, I'm left wanting to know what happens next. 3.5 stars. I love Tanya Huff, and this was a pleasure to read. The plot is a bit odd, though, and seemed almost a waste of the fantasy world that was created. We have a kingdom ruled by mages and werewolves which is being invaded by a foreign empire. This fantasy world is on the brink of an industrial revolution, so while this is not steampunk, there is some discussion of magic vs. science. The enemy empire is pro-science, but they also have a vaguely described religion which serves to give them 3.5 stars. I love Tanya Huff, and this was a pleasure to read. The plot is a bit odd, though, and seemed almost a waste of the fantasy world that was created. We have a kingdom ruled by mages and werewolves which is being invaded by a foreign empire. This fantasy world is on the brink of an industrial revolution, so while this is not steampunk, there is some discussion of magic vs. science. The enemy empire is pro-science, but they also have a vaguely described religion which serves to give them a reason to hate werewolves. A group of women mages have been kidnapped by the enemy, and a great deal of time is spent on the minutia of their capture and elaborately cruel imprisonment. A young werewolf and a young mage team up to go in search of their captured countrywomen, and a great deal of time is spent on the minutia of their journey. I’m okay with the cliche of (view spoiler)[a character who has been overlooked, and who seems to have very little power, turning out to be the most powerful mage ever (hide spoiler)]. But I’m not as happy with fantasy novels where (view spoiler)[the plot is resolved by having characters acquire godlike powers. At the beginning of the book the girl was thrilled to be able to light a candle from across the room; by the end of the book, she’s flying and causing earthquakes (hide spoiler)]. This really should have been a 5 star rating. I so desperately wanted to give it a 5 because it was a delight to read. Strong and well-drawn characters, an enticing world setting, and vivid action and tension throughout with new and unexpected things happening along the way. All told, highly entertaining and readable. So why not a 5? Well, all the good comments happened at the fine-grained, scene-by-scene detail level. When I took in the whole picture the story moved to a rather predictable resolu This really should have been a 5 star rating. I so desperately wanted to give it a 5 because it was a delight to read. Strong and well-drawn characters, an enticing world setting, and vivid action and tension throughout with new and unexpected things happening along the way. Well, all the good comments happened at the fine-grained, scene-by-scene detail level. When I took in the whole picture the story moved to a rather predictable resolution. Without revealing any real spoilers, help in the final climax came from the expected quarters, and escapes were achieved through expected means that had been thoroughly telegraphed many chapters earlier. There was nothing in the final chapters that truly surprised me, that made me sit back and say "Wow, I never saw that coming." This review has been hidden because it contains spoilers. To view it, click here. The Silvered is a very nice novel. I enjoyed the time I spent in the world. The setting is fun - an empire that is trying to exploit science while magic fades is invading a kingdom ruled by werewolves and magicians. The empire is pre-ndustrial revolution, but they have the concept of how to do science - perhaps Renaissance level technology? While the science empire is portrayed as the bad guys if you are a peasant you are likely to be better off in the Empire, assuming you aren't drafted into th The Silvered is a very nice novel. I enjoyed the time I spent in the world. The setting is fun - an empire that is trying to exploit science while magic fades is invading a kingdom ruled by werewolves and magicians. The empire is pre-ndustrial revolution, but they have the concept of how to do science - perhaps Renaissance level technology? While the science empire is portrayed as the bad guys if you are a peasant you are likely to be better off in the Empire, assuming you aren't drafted into the army or randomly run afoul of the Emperor. The portrayal of the social dynamics of the werewolf/magician kingdom is well done. Ms. Huff thanks her dogs for helping her with the dynamics of the pack. I don't own dogs, but the pack behavior is reminiscent of other fictional dog/wolf/were type dynamics I've read. Despite the protagonist's overwhelming power, as a character I found her pretty enjoyable. There's a lot of snappy dialog of the sort I like. She learns absurdly fast, but she does put effort into it She is moving outside of her comfort zone from a pampered middle rank aristocrat to someone exposed to combat, hardship, and growing magical powers she doesn't quite understand and doesn't fully control She doesn't take it for granted, and she is shocked and hurt by the rawness of some of the things she encounters. I liked the noble Captain who has the misfortune of serving the Evil Science Empire. I liked the portrayal of the politics of said Empire and the compromises their leaders were and were not willing to make when they were faced with moral choices. I thought the mage pack was less well drawn than the Imperials. We get to see a certain amount of characterization, but I didn't learn as much about their society from them as I learned about the Empire from the Imperials. OTOH, they weren't IN their kingdom for most of the book, which makes it harder. One last minor quibble. The title The Silvered refers (in the most literal fashion) to a silvered telescope the protagonist acquires early on in the novel. The fate of the telescope is meticulously tracked, but unless I missed something it never has any bearing on the plot. My guess is that the telescope is a Muguffin for a later novel in the series, assuming there is one. I may be over vampires and growing weary of other paranormal creatures in fiction, but a werewolf/magic-wielding society under attack by an empire devoted to the pursuit of science? Sounds like something I want to read (like, yesterday). 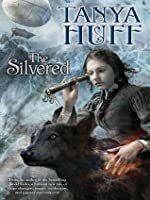 Pair that synopsis with blurbs by Kate Elliott (Cold Magic) and Michelle West (Silence), and I put Tanya Huff’s The Silvered on my wishlist, despite not having read any of her prior work. My brother gave me a bookstore gift card for Christmas, and this was the f I may be over vampires and growing weary of other paranormal creatures in fiction, but a werewolf/magic-wielding society under attack by an empire devoted to the pursuit of science? Sounds like something I want to read (like, yesterday). Pair that synopsis with blurbs by Kate Elliott (Cold Magic) and Michelle West (Silence), and I put Tanya Huff’s The Silvered on my wishlist, despite not having read any of her prior work. My brother gave me a bookstore gift card for Christmas, and this was the first title I picked. The rest is history. Mirian is a mage college dropout, only she hasn’t told her parents about her failure yet. They’re social-climbers, and they’re sure that an advantageous marriage for Mirian is the family’s ticket to a place at the top of Aydori society. However, war with the empire is brewing, and soon her mother won’t care about the opera or making a perfect match – she, along with the rest of the country, will be running for her life. Only Mirian decides to take destiny into her own hands and runs toward danger. With the help of shape-shifting Tomas, she may survive war long enough to do something good. The cover art suggests a steampunk aesthetic, but this isn’t really steampunk – it’s high fantasy. WHAT?! Yes, high fantasy with deft characterization, which actually makes it unusual as well as unexpected. The Silvered is peopled with flawed characters who change, learn and whose motivations do not fit in black and/or white boxes. It’s not that it’s completely character-driven, it is that there are no flat, clichéd personalities or relationships. The story’s scope is EPIC, but it is made accessible by the paranormal element (werewolves) and small, everyday interactions. It is an utterly appealing, unputdownable adventure – with teeth. The one and only caveat to my enjoyment of The Silvered was a certain plot point that was eerily similar to a development in Kristin Cashore’s Graceling. If you’ve read one of these books and then pick up the other you’ll know exactly what I mean. To be clear: it didn’t diminish my enjoyment of the chase, of Mirian’s attempts at harnessing mage power (and finding herself in the process), or of the political machinations within the capital city. It simply took me out of the story and became a ‘thing to note in the review.’ While Huff completes a story arc, there’s room for more in this world of weres and mages and science-crazed humans, and I hope to see more fantastic world-building and power to come. In ‘The Silvered’, the world is similar to ours during the Victorian era. Except there are werewolves, mages who can control different elements, and magical artifacts from the past. There are also guns and airships. It’s vaguely steampunk in feel, even though there is no actual steam technology. Mirian Maylin, 19 years old, has some mage blood. She has tested as having powers in several elements, but has not progressed beyond first level in any of them. She has been invited to *not* come back to In ‘The Silvered’, the world is similar to ours during the Victorian era. Except there are werewolves, mages who can control different elements, and magical artifacts from the past. There are also guns and airships. It’s vaguely steampunk in feel, even though there is no actual steam technology. Mirian Maylin, 19 years old, has some mage blood. She has tested as having powers in several elements, but has not progressed beyond first level in any of them. She has been invited to *not* come back to the university next semester because she performs so poorly. Her mother’s biggest worry is that Marian might not attract the attention of someone of the Pack, and marry into it. Marian does not care if she ever gets married. We start the book with a war beginning; the Empire is attacking the country of Aydori and has declared Pack members to be abominations. A rather garbled warning from a Soothsayer has Emperor Leopald kidnap the top five members of the Mage pack. Mirian finds herself in the position to follow the Mage pack to the Empire’s capital city and try and rescue them. She also finds herself in the company of Tomas Hagen, younger brother to the Pack leader, and, with Captain Reiter of the Empire forces following her because they think she’s the missing sixth member of the Mage pack. I really liked the characters; Mirian is strong, smart, and stubborn (and, according to Hunt Pack members, smells amazing- a sign of mage powers) and she and Tomas have to grow up a lot in just a few days. While they find themselves partners by chance, they work very well together. Likewise the kidnapped Mage pack leader, Danika, has to face great personal loss along with physical and psychological abuse but stands up to it. I should warn you there is a lot of brutality in this book; it’s set during a war and it doesn’t bring out the best in a lot of the soldiers. It also shows the peril of dehumanizing others; it makes it far too easy for people to discount the worth of their lives. The book ties up all the loose ends- even though as I got near the end of the book I couldn’t figure out how the author would manage that in such a short number of pages. But I’d forgotten how good a writer and world builder Tanya Huff is; parts of the ending are very unexpected, it’s neatly done, and, while this is a standalone novel, there are a few things that could lead into another volume set in this world if she wanted. I’m hoping she’ll do so! This review has been hidden because it contains spoilers. To view it, click here. Most of the time, I dislike romantic pairings between a human girl and a nonhuman guy. More often than not, these stories can't say enough about the awesomeness of the guy and the comparative ordinariness of the girl. Why can't she be the nonhuman for once, and he the human? When I raised this question to a fellow customer at a bookstall, she told me she wouldn't like that at all, because a nonhuman girl would be more powerful than a human guy and she only liked romantic stories in which the guy Most of the time, I dislike romantic pairings between a human girl and a nonhuman guy. More often than not, these stories can't say enough about the awesomeness of the guy and the comparative ordinariness of the girl. Why can't she be the nonhuman for once, and he the human? When I raised this question to a fellow customer at a bookstall, she told me she wouldn't like that at all, because a nonhuman girl would be more powerful than a human guy and she only liked romantic stories in which the guy was more powerful. Yet Huff's novel turns that power equation on its head. Yes, we have a human woman and a male werewolf paired romantically, but here, the human woman is much more powerful, and when danger rears its head, she is rescuer rather than rescued. Some readers find the sheer magnitude of Mirian's power objectionable. I don't mind it a bit. Mirian is an antidote to Bella Swan and all her clones, all those helpless human damsels who rely so heavily on the might of their supernatural boyfriends. Yet what I admire most about her isn't her awesome power but her sense of responsibility and integrity. She sets out to rescue a group of women she barely knows, with whom she feels no emotional connection, because she knows it's the right thing to do. Hers is a moral triumph. There are no passive damsels in this book. The captive women do not simply wait for rescue; they plot, plan, and work toward escape. They hold fast to their dignity in a situation deliberately designed to rob them of it. They, too, emerge as admirable heroines. Brilliant and gripping! This story had it hooks firmly into me by page ten and I could barely put it down for the next one hundred pages. Luckily I picked it up on a Saturday and was able to put most of the weekend on hold while I read and read and read. In this book all the best of Tanya Huff is represented and taken to new levels; All the military savvy that she picked up writing the ‘Valour’ series is used cunningly to craft a very believable scenario of a small country resisting, against huge Brilliant and gripping! This story had it hooks firmly into me by page ten and I could barely put it down for the next one hundred pages. Luckily I picked it up on a Saturday and was able to put most of the weekend on hold while I read and read and read. In this book all the best of Tanya Huff is represented and taken to new levels; All the military savvy that she picked up writing the ‘Valour’ series is used cunningly to craft a very believable scenario of a small country resisting, against huge odds the advance of an empire. (I also kept getting little memories of reading PTerry’s Monstrous Regiment, but that might be just me). The magic werewolves otherworldly lore, meeting with science is vaguely reminiscent of parts of the ‘Blood’ series but this story is much more finely crafted than that earlier series was. And the descriptions of a basically mediaeval society are brilliant. I think the vividness of the characters is only really equalled by the characters in the ‘Smoke’ and ‘Valour’ books, but they are whole new characters rather than re-used characters that one has previously encountered. The story? Well, you can read that on the back of the cover when you get the book. But it is The Quest that allows two people to find that they are more than they ever were or knew they could be, the desperate bravery of people facing odds beyond their ability to match – and matching them. And it is also the basic story of Right facing Wrong in a way that reminded me a little of the Phillip Pulman ‘his dark materials’ series, only grown up. Any reader who has ever enjoyed Tanya Huff, a good quest adventure, fantasy novels, strong sensible women’s characters; any such reader should acquire this book! Any Tanya Huff book goes immediately to the top of my to-read pile, and, depending on what I'm reading at the time it arrives, can make me put that book down to finish after Tanya's book. That being said, I enjoyed The Silvered just a tad more than I enjoyed the Wild Ways books (and I've re-read them, so it's not like I didn't love them, I just like this one more). It's a pleasure to read something so accessible, that's at the same time layered and complex. Sure we've got the magic vs. science t Any Tanya Huff book goes immediately to the top of my to-read pile, and, depending on what I'm reading at the time it arrives, can make me put that book down to finish after Tanya's book. That being said, I enjoyed The Silvered just a tad more than I enjoyed the Wild Ways books (and I've re-read them, so it's not like I didn't love them, I just like this one more). It's a pleasure to read something so accessible, that's at the same time layered and complex. Sure we've got the magic vs. science trope happening, but at the same time we've got the instinct vs. reason, rational vs. irrational, hysteria vs. control thing going on as well. The conflict is played out at every possible level, without getting heavy-handed -- that's the sign of real artist. I particularly liked the handling of the relationships between the genders. It's a nice blend of what we understand underlies human and lupine social structures, with a great deal of thoght given to everything from mating rituals to table etiquette. The best thing about it was that they didn't act exactly as humans would (and have done) in similar social milieus. These are a specific kind of non-human, and it was fascinating to observe the differences. I really hope this is the beginning of a series because I loved the second half of this book. For some reason, I found the beginning to be a little boring. The main character was complaining about her mother quite a bit, and I thought, here we go, another book with a young twenty something protagonist who is a complete ninny. I was also listening to this book on audio while I did chores periodically and that was not helping move the plot along. Between doing dishes and a narrator who was not bri I really hope this is the beginning of a series because I loved the second half of this book. For some reason, I found the beginning to be a little boring. The main character was complaining about her mother quite a bit, and I thought, here we go, another book with a young twenty something protagonist who is a complete ninny. I was also listening to this book on audio while I did chores periodically and that was not helping move the plot along. Between doing dishes and a narrator who was not bringing the book alive, I was not digging it. Aha!!! Thanks to Estara, I'm now putting this review (and others) where they belong. Wow. 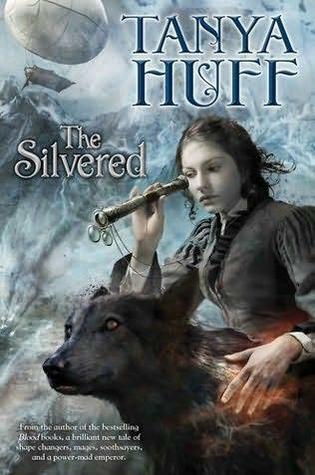 THE SILVERED is everything I love about Tanya Huff's storytelling, with engaging characters, a satisfyingly unpredictable plot, and a world that utterly convinces. Yet there's more! Huff takes fantasy elements you may think are familiar and within the first pages confidently reinvents them all. Strap in. This story is a ride you'll never forget. Waiting, with no patience at all, for the next in the series. I find this author to be hit or miss. The ones I like, I really like, but the ones that miss for me miss big. Sadly this one was a miss. I found things to be confusing at the start and didn't care for the characters. In the end this one just wasn't for me. When the Empire attacks the small kingdom of Aydori, soldiers are sent across the border to capture the Mage-pack, the magic-wielding women married to the werewolf rulers of Aydori. Mirian Maylin, a young university student and failing mage, sets off to rescue them with Tomas Hagen, the younger brother of Aydori's ruling werewolf. In this book, Tanya Huff has build a richly imagined and immersive fantasy world filled with interesting and nuanced characters. She uses a lot of tropes but puts her When the Empire attacks the small kingdom of Aydori, soldiers are sent across the border to capture the Mage-pack, the magic-wielding women married to the werewolf rulers of Aydori. Mirian Maylin, a young university student and failing mage, sets off to rescue them with Tomas Hagen, the younger brother of Aydori's ruling werewolf. In this book, Tanya Huff has build a richly imagined and immersive fantasy world filled with interesting and nuanced characters. She uses a lot of tropes but puts her own unique and often unexpected twists on them that it all feels very fresh and new. It was interesting to see how the familiar alpha-beta/wolf pack tropes play out within the social structures of Aydori society, affecting not only the werewolves themselves but the mages and other people within their community. Huff really puts her on spin on it. I'm also thoroughly impressed by her extensive worldbuilding-- every bit of the world the characters inhabit feels very real. The narrative jumps between four different POVs, which was a little jarring at first but I do like the ensemble cast and it allows us to follow a much bigger story than that of just one or two characters, and helps us see more sides of the fantasy setting. I also like that one of the POVs is an antagonist. Not all the POVs are interesting at first, but all the main characters quickly grew on me. Huff has a knack for writing fully-realized characters, and in particular, I love how she writes women and the relationships between women. In particular, I enjoyed the competitive, frenemy-type relationship between Danica and Kirsten-- it came off as being very emotionally true. The politics of pack relations also made for some very nuanced interactions between characters and I found it refreshing that relationships between characters weren't so easily characterized into friend, lover, enemy, etc. This gave the story another dimension of intricacy and subtlety, and I think it is a lot more realistic than having everything clearly demarcated. Tanya Huff has written about werewolves before, in her urban fantasy Blood Trail (1992). However, she masterfully reworks the concept in The Silvered, creating a complex social structure which combines werewolves and mages. Their country and their culture are under siege by an ever-expanding, Napoleon-esque Empire which regards the Pack as abomination. Bigotry, xenophobia, and racism complicate novice mage Mirian Maylin’s efforts to save the Mage-Pack after five members are kidnapped by the Empe Tanya Huff has written about werewolves before, in her urban fantasy Blood Trail (1992). However, she masterfully reworks the concept in The Silvered, creating a complex social structure which combines werewolves and mages. Their country and their culture are under siege by an ever-expanding, Napoleon-esque Empire which regards the Pack as abomination. Bigotry, xenophobia, and racism complicate novice mage Mirian Maylin’s efforts to save the Mage-Pack after five members are kidnapped by the Emperor. The daughter of a banker and a social climber, she has little experience with magecraft or Pack politics, but feels compelled to act. Her only helper is Tomas Hagen, the young, impulsive brother of the Pack leader. As usual, Huff can be counted on to deliver strong, hilarious female characters as most of the men in the story are out of commission, and it is up to the women to save themselves. Although many of these women posses great power, circumstances bring it down to their wits and strength of character as much as their magical abilities. Magic, far from being a cure-all, only serves to make the situation more complex. The Emperor seeks to pit science against magecraft, but wit and common sense prove more important than either. The majority of the main characters are women but there are some great male characters in this story as well, particularly imperial Captain Sean Reiter, who is central to—but not exactly happy about—the kidnapping plot, and Gryham and Jake, a couple whose appearance in the story is all too brief. On a technical note, the Kindle edition of this title does (as of my reading) include a small formatting error in which the dropped capitals at the beginning of each paragraph are in fact, dropped, and appear about halfway down the page. Paper editions of this title do not contain this quirk. I liked this, it was fantasy, but at the same time it did not even feel like fantasy all the time cos it was different. We have the BIG Empire that wants more land. They, oh let's say they are steampunk, or well just industrialized. Then there is Aydori. Where Mages and Pack live together. Mages who if they can marry Pack and have more mages or puppies. Then the bad Empire comes with soldiers and silver bullets. FU Empire! They call the Pack abominations and if you can show a pelt you get money. I I liked this, it was fantasy, but at the same time it did not even feel like fantasy all the time cos it was different. Then the bad Empire comes with soldiers and silver bullets. FU Empire! They call the Pack abominations and if you can show a pelt you get money. Innocents are dying and the Emperor is insane. I know right, what a good premise! Our hero is Mirian a failed mage escapes being captures and then sets out to save others. Her I liked, and what she could do. Then we have Thomas, a wolf, who helps her because the road is long and many dangers lay ahead. We also gets to see how the captured mages are faring. I kept rooting for them, and Mirian, and hoped to see the Empire burn. The end, is an ending. But I do want more. The world was so fascinating and I'd like to explore it more. But for now I am happy with a book that ended in one. Nothing original here, but a solid piece of fantasy fiction. I enjoyed the world-building, the characters, and the plot. If I had one complaint it was a slight tendency by the author to reinforce the plot by having characters re-narrate what they've done or are intending to do, but it's short and woven in well with the flow and doesn't jar as much as it could. The narration is split between four points of view: a young mage girl, a young member of the Pack, a captain in the Imperial army, and the Nothing original here, but a solid piece of fantasy fiction. I enjoyed the world-building, the characters, and the plot. If I had one complaint it was a slight tendency by the author to reinforce the plot by having characters re-narrate what they've done or are intending to do, but it's short and woven in well with the flow and doesn't jar as much as it could. The narration is split between four points of view: a young mage girl, a young member of the Pack, a captain in the Imperial army, and the kidnapped wife of the Pack Leader. Thankfully NOT first-person, the switches between points of view aren't awkward. I liked Mirian and her resolve and how she managed to Get Things Done. There was a bit of the Mary Sue in how she managed to be perfect at everything in the end, but she struggled to get there and it wasn't without sacrifices. I would have liked more of Reiter, who was the easiest to relate to of all the characters. You can see traces of Tanya Huff's horror background in some of the more gruesome scenes. I haven’t read a book in a long time that brought back that wonderful feeling of racing to the last page to find out what happens at the same time being reluctant to turn the page because it means the book will end. I haven’t taken such pleasure in a book for a long time—this was a joy. Ordinarily I don’t much care for multiple viewpoints, but Huff handled them deftly, partly because all of her characters were interesting and worthy of attention, partly because it raised the tension—we’re in some I haven’t read a book in a long time that brought back that wonderful feeling of racing to the last page to find out what happens at the same time being reluctant to turn the page because it means the book will end. I haven’t taken such pleasure in a book for a long time—this was a joy. Ordinarily I don’t much care for multiple viewpoints, but Huff handled them deftly, partly because all of her characters were interesting and worthy of attention, partly because it raised the tension—we’re in someone else’s viewpoint--omigod what’s happening to Mirian or Tomas or Reiter or Danika—turn a page, turn another page—what do you mean my lunch hour’s over? It took all my discipline not to look ahead to relieve the suspense. Great plot, settings so well done you’ll swear you’ve “reallY’ seen them without having been mired in them, intriguing magic well-described. I could go on and on, but I won’t—run and get a copy of this book. It’s such fun. Well, I guess I have one other thing to say: two minor characters, Gryham and Jake, deserve a book of their own. Raised, for the most part, in Kingston, Ontario. It was the late sixties, early to mid seventies. Enough said for those of us who lived through it-and those who didn't seem to be getting another chance to fall off platform shoes. Spent three years in the Canadian Naval Reserve: I was a cook. They'd just opened it up to women and I figured it would be the first trade that would send women to sea. I was right. Unfortunately it happened a year after I left. No tattoos. Received a degree in RADIO AND TELEVISION ARTS (B.A.A.) from Ryerson Polytechnical Institute: The year I graduated was the year that the CBC laid off 750 employees in Toronto alone. We were competing for jobs with people who had up to five years experience. The cat threw up on my degree. Spent eight years working at Bakka, North America's oldest surviving science fiction book store: Change Of Hobbit in California was actually a very little bit older but unfortunately it was a casualty of the recession in '91. During those eight years, while working full-time, I wrote seven books (the first seven, except for the original draft of CHILD), and nine short stories. In 1992, after living in downtown Toronto, a city of nearly three million, for thirteen years, I moved with two large cats, one small psychotic cat, and my partner out to a rented house in the middle of nowhere. In the years since, we've purchased the house, buried two of the original cats, replaced them with three more felines and, unintentionally, acquired a Chihuahua. You're probably wondering how two reasonably intelligent adults can unintentionally acquire a Chihuahua. Please don't ask. I love living in the country, writing full-time, anything by Charles de Lint, Xena, Hercules, and email. I dislike telephones, electric blankets, and bathroom renovations. I always expect catastrophe; as a result, I'm usually pleasantly surprised."